It’s completely normal for your dog to scratch once in a while – we all do it. 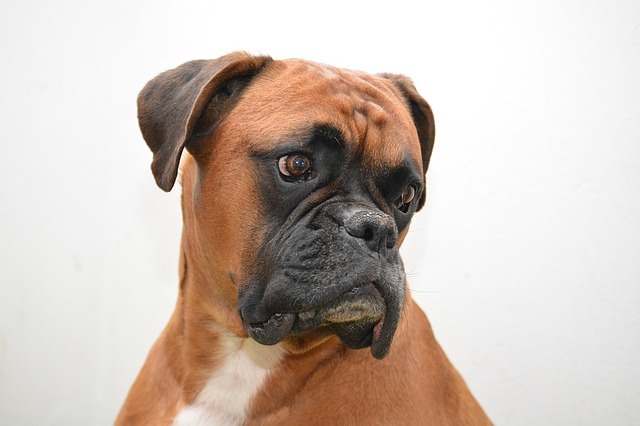 But if your dog seems to be scratching frequently, or if you notice other symptoms like dry skin or hair loss, it could be something more than just the occasional itch. Nothing is worse than seeing your dog suffer and food allergies can cause some pretty bag reactions in some dogs. Dog food allergies are more common than you might realize, and they could be linked to a surprising cause – your dog’s diet. Food allergies in dogs typically present with skin-related symptoms which can be a little bit confusing at first. Keep reading to learn more about your dog’s basic dietary needs and to receive some tips for picking the best limited Ingredient dog food to meet those needs. 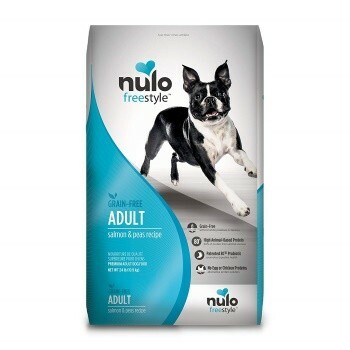 You’ll also receive our top 5 picks for the best hypoallergenic dog food. What Else Can You Do for Skin Allergies? The best place to start is a natural dog food recipe made with fewer ingredients. 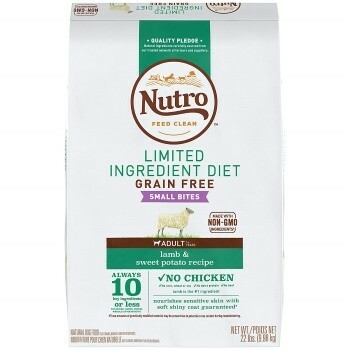 You can look for the word “natural” or “organic” on the label but keep in mind that claims on pet food packaging is not as closely regulated as for human food, so take these claims with a grain of salt. For most dogs with allergies, this might mean cutting out or reducing the amount of grains. Fresh fruits and vegetables, beans, and legumes are all good options. You should also make sure that the recipe contains plenty of fiber and probiotics to ensure smooth digestion. To avoid triggering an allergy, a limited ingredient diet is a good idea. You can also try a food trial with your veterinarian, you should know with some degree of certainty which ingredients (or ingredient) trigger your dog’s food allergy. Keep reading to see our top 5 recommendations for the best limited Ingredient. 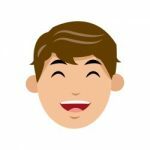 After finalizing on the kind of limited diet option you want to feed your pet, the next step is to choose the most reliable options available in the market. Therefore, we make this job easier for you by suggesting some of the items below. If you’re looking for the best hypoallergenic dog food out there, this FirstMate Grain-Free LID Lamb Formula is on the list. 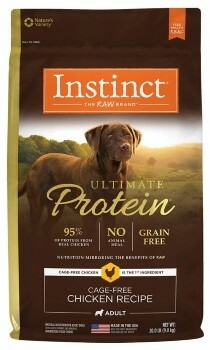 It is a limited ingredient diet made with 78% animal ingredients and 22% vegetables and supplements. It features protein-rich lamb as a single source of novel protein with potatoes for digestible carbohydrates. This recipe is supplemented with glucosamine for healthy joints with chelated minerals for optimal nutrient absorption. If your dog suffers from skin allergies, it is important to find a dog food made with a limited number of high-quality ingredients. 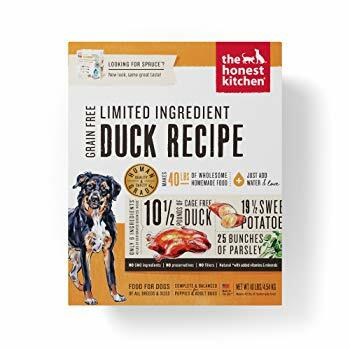 This Honest Kitchen Limited Ingredient Duck Recipe is an excellent choice because it contains just a handful of human-grade ingredients freeze-dried to preserve their nutritional content. 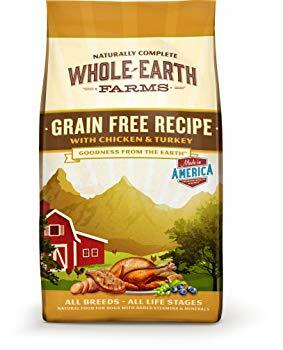 This recipe is completely grain-free, highly digestible, and packed with healthy fats for skin and coat support. This recipe is made for dogs that prefer small kibbles. It uses less than ten ingredients and natural flavors, vitamins, minerals and other nutrients. The ingredients cause sensitivities in dogs like chicken, corn, beef, and dairy. It has high-quality Australian-New Zealand lamb and real sweet potatoes. 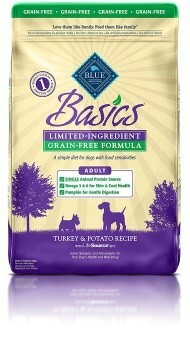 This grain-free dog food not only tastes great but also nourishes sensitive skin for a soft and shiny coat. Additionally, it is always made with non-GMO ingredients. Therefore, there are no artificial flavors, colors or preservatives are added. This limited ingredient recipe is for dogs with allergies. It is a delicious, limited-ingredient diet made from fewer ingredients. It may prove helpful for dogs with food sensitivities. Furthermore, all the recipes of this brand come with real meat from a single animal protein source. The protein source comes with fruits and vegetables, like pumpkin and easily digestible carbohydrates. 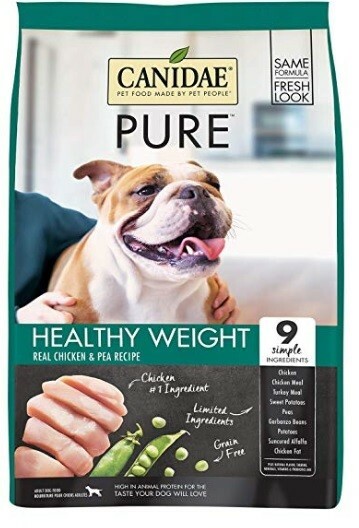 The dog food of this brand uses simple recipes that are fit for sensitive dogs. Each limited ingredient diet is made with 7–10 ingredients that are easily recognizable. So, even if your dog isn’t sensitive to ingredients, it will love the taste. It will also benefit from the nutritional value. The formula is made from fresh meat or ﬁsh (There are a few variations of the recipe). They are then paired with whole ingredients like sweet potatoes, peas, lentils, or chickpeas. 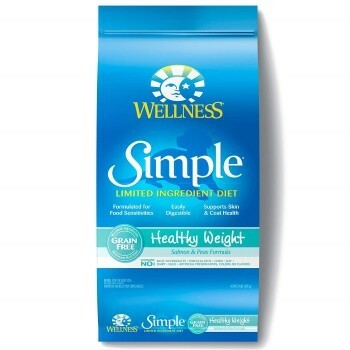 The Wellness limited dry dog food is a healthy and natural limited-ingredient dog food for allergy-prone adult dogs with food sensitivities, allergies or ingredient intolerances. They keep it simple by balancing a single source of protein along with easily digestible carbohydrates. There are no extra fillers, additives, meat by-products, wheat, corn, dairy, eggs, artificial preservatives, colors or flavors. Furthermore, the limited ingredient recipe is from salmon and peas. This recipe is a low-carb, protein-rich formula with added Omega-3 and Omega-6 fatty acids. The recipe also contains added probiotics for healthy digestion. Furthermore, the primary ingredients include lamb, chickpeas, salmon, peas and sweet potatoes. 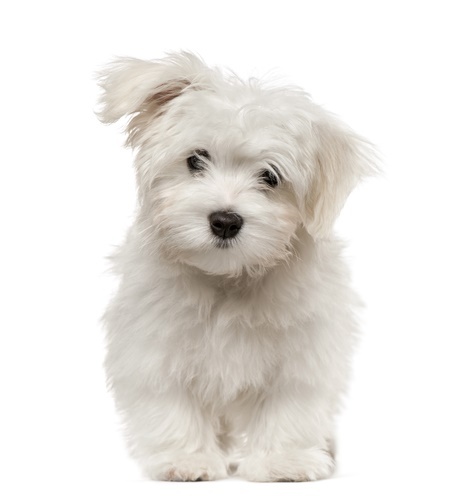 The kibble size is also perfect for both small and large sized dogs. This is a limited-ingredient diet for dogs that are sensitive to peas. Moreover, the recipe offers a high-quality meat protein. It is packed with probiotics that are good for nutrient absorption and digestion. The meal is also well-balanced and has many vitamins, minerals, and essential fatty acids. Therefore, this would be a good product to try out. This grain-free food product comes in two recipes. 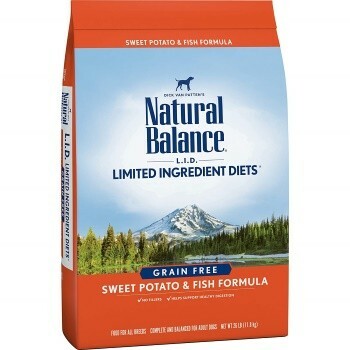 The one for adult dogs is a combination of fish and sweet potato. The other recipe comes in the form of smaller bites. It is meant for smaller dogs. 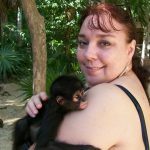 Furthermore, the recipes help maintain a healthy digestive system completely free from artificial flavors or additives. If you are on a tight budget, but would still like to feed pup dog a high-quality dog food. You can try our this Whole Earth Farms Grain-Free Salmon & Whitefish recipe. This recipe is grain-free and highly digestible. Plus it can reduce the risk for allergies. It is made with real animal proteins like salmon and whitefish. It contains plenty of essential fatty acids, fresh fruits and vegetables for nutritional support. It also contains probiotics for healthy and regular digestion. 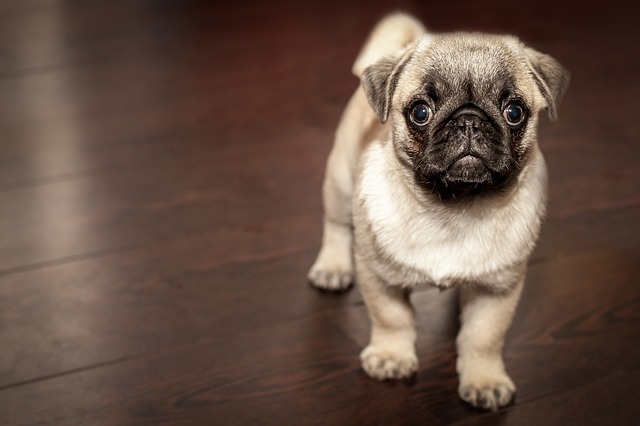 As our canine pets may become sensitive to low-quality ingredients or certain foods, choosing a limited ingredient hypoallergenic dog diet is the best way to handle the problem. Feeding your pup a dog food diet rich in skin-supporting ingredients is key, but there are other helpful ways to supplement its diet. Adding a little canned, soft or wet food to your dog’s routine can add moisture to its diet, and to its skin. Providing plenty of fresh drinking water is essential and supplementing your dog’s diet with probiotics and healthy fatty acids like flaxseed oil or fish oil could be helpful as well. You can also improve its skin allergies by giving it a bath with some kind of skin-soothing shampoo and conditioner. Natural ingredients like oatmeal and aloe can sooth your dog’s itchy, irritated skin and help moisturize it so it can heal. After bathing, simply towel your dog dry instead of using a blow dryer because that could be too drying. In conclusion, we realize that switching to the right diet for your canine is not at all easy. Abrupt changes in your pet’s diet could result in adverse and severe reactions. However, when you are not sure what is causing your dog’s sudden weight changes, we recommend first consulting a specialist. They will provide some suggestions. Once you understand the deeper reason why your dog has these issues, you can feed it the right items. Therefore, the items above help to guide you in the right direction.